Alberta Premier Alison Redford called the findings from a U.S. government study on the Keystone XL pipeline "a step in the right direction." The U.S. State Department’s Supplementary Environmental Impact Study was tabled Friday and concluded the proposed pipeline, which upon completion would run from Hardisty, Alta. to Houston, Texas, won't have a significant impact on increasing Alberta's oilsands development or the demand for heavy crude in the United States. "Alberta applauds the U.S. Administration for the extensive, exacting and comprehensive review of potential environmental impacts from the project," said Redford in a statement. 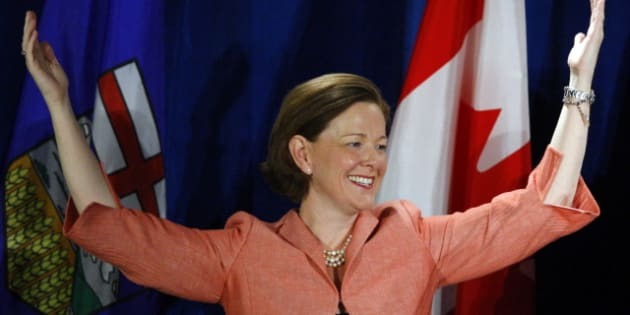 The premier said she spoke to the U.S. ambassador to Canada as well as Canada's counterpart on Friday to reinforce Alberta's efforts to balance strong environmental policy, clean technology development and job creation. The study's findings translate into a giant leap forward for proponents of the proposal by Calgary's TransCanada Pipelines but it's also a clear step backwards for environmental groups who opposed the project. The study also concluded the project does not pose an environmental threat greater than any other form of oil transportation. “I am.. pleased to see that the State Department acknowledged Alberta’s environmental leadership, including reference to the Lower Athabasca Regional Plan, a comprehensive land-use plan for the oil sands region that sets out strict triggers and limits through environmental frameworks, and sets aside a significant amount of protected land," said Redford. The U.S. government is expected to make a decision on the pipeline near the middle of this year.